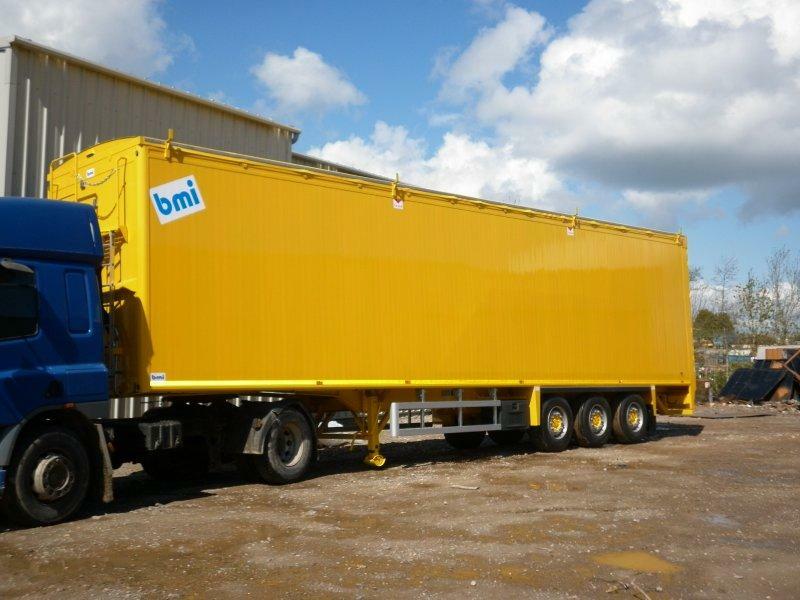 bmi vehicle hire, based at Witton in Birmingham, offer a full range of waste and recycling spec trailers and TopSelect kerbside collection vehicles, both new and used, at very competitive rates. New trailers are available on 3 to 5 year deals, with maintenance or without. TopSelect Kerbside collectors are offered on 5 to 7 year deals for new vehicles and 1 to 3 years on used vehicles. bmi vehicle hire is the only hire option in the UK for the Labrie Maximizer compaction kerbside body. Fixed cost vehicle financing on vehicles that are proven and will add value to your collected materials with the maximum payload possible everytime. Rental offers are subject to status and are approved by the bmi group preferred funders. You will enjoy direct consultation with our experienced sales staff, and our after sales team are on hand for service and parts queries. 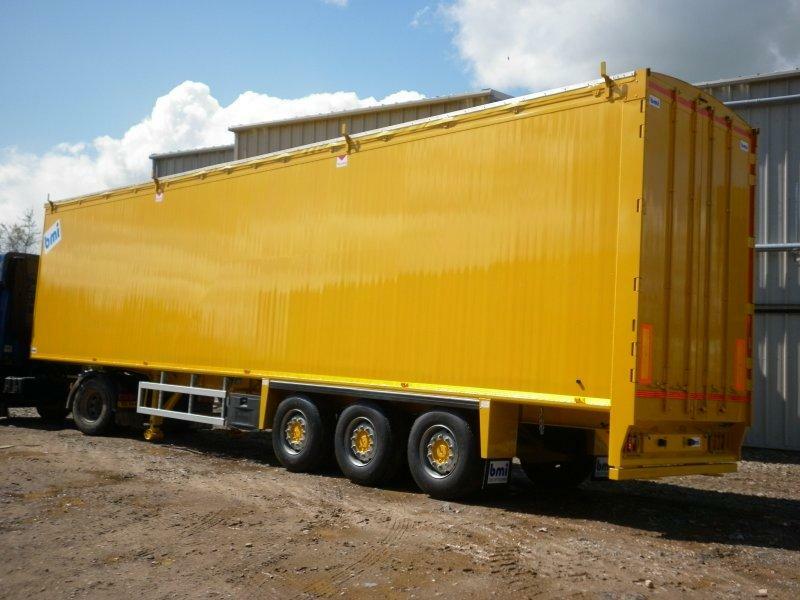 The attached photos are of a recently dispatched 125CuYd Walking Floor® trailer on a 3 year contract in Wales.